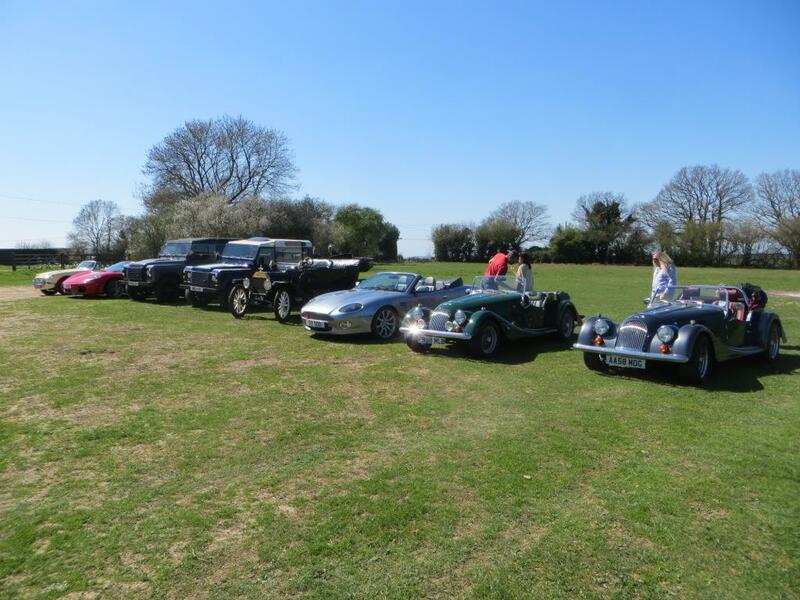 Droxford Car Club was created at an inaugural meeting on Saturday 18 April 2015. The aim is to keep things to an administrative minimum with no formal membership or subscription. The only qualification for being part of the group is an interest in cars – there is no need to own an ‘interesting’ car! Perfect sunshine, but bumpy roads, were the scene for the club’s first outing, which took the form of a gentle, cross-country route to a pub (where, as almost everyone was driving, large quantities of soft-drinks were consumed). 9 cars and 13 people came along, with 4 (possibly 5) other cars unable to make it. How many small car clubs can represent 100 years of manufacturing at their first meeting? We had a blue oval (Ford) from 1915 and a green oval (Land Rover) from 2015. Sharing knowledge/got a problem: If you need a good 'paint guy', a local expert in SU carbs or whatever else, send a message to the email address below and collective knowledge may help.